At Gascoigne Halman we have a team of qualified mortgage consultants who are here to help you with all your mortgage needs. Our Group submitted mortgage applications worth £10 Billion in 2017* and have exclusive mortgage deals available. Explain the house buying process and all the costs involved. *Connells Group value of mortgage application 2017. 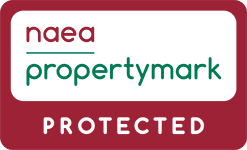 +This only applies when the property is for sale with another estate agent and we do not act for the vendor. 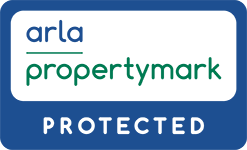 Market Intelligence is an internal estate agency system that collects and collates the sales history data for all properties for sale in a defined postcode. ++Subject to status and lender criteria. A BROKER FEE MAY BE PAYABLE UPON MORTGAGE APPLICATION AS WELL AS AN ADMINSTRATION FEE. THE TOTAL FEE PAYABLE WILL DEPEND ON YOUR CIRCUMSTANCES. YOUR MORTGAGE CONSULTANT WILL EXPLAIN ANY FEES APPLICABLE IN YOUR INITIAL APPOINTMENT. Gascoigne Halman Limited is registered in England and Wales under company number 2274169, Registered Office is 42 Alderley Road, Wilmslow, Cheshire, SK9 1NY. VAT Registration Number is 548 2123 52. For the activities of advising on regulated mortgages and non-investment insurance contracts, Gascoigne Halman is an appointed representative of Connells Limited which is authorised and regulated by the Financial Conduct Authority. Connells Limited’s Financial Services Register number is 302221. Customer Complaints procedure - When things need sorting out. If your Mortgage Service complaint is not dealt with to your satisfaction or we do not issue you with a Final Response within eight weeks, you may refer it to the Financial Ombudsman Service.